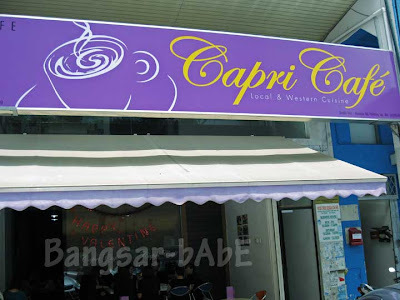 Capri Café opened a branch in Damansara Utama recently (replacing Daisy Sandwicherie), and being the curious cat I was, I dragged Shum there for lunch. The place was packed with people and resembled a marketplace – stuffy, noisy and hot, despite the air-conditioning. I ordered the Wat Tan Hor and a can of Coke. Shum decided to try their lunch set – Salted Fish with Chicken and a glass of watermelon juice. 10 minutes later, the lady tells us it’s not available. If it’s not available, WHY PUT IT IN YOUR LUNCH SPECIALS MENU? Shum then switched to ginger beef rice. The food took ages to arrive. I reckon about 30 minutes. 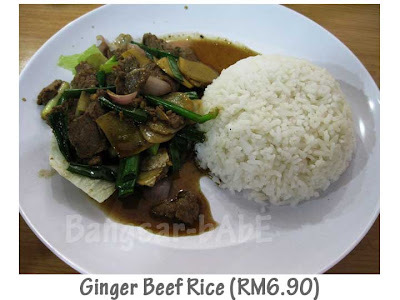 The ginger fried beef didn’t look promising. On top of the meagre portion, it was runny and lacked the much-needed flavour. Shum said it was not nice at all! 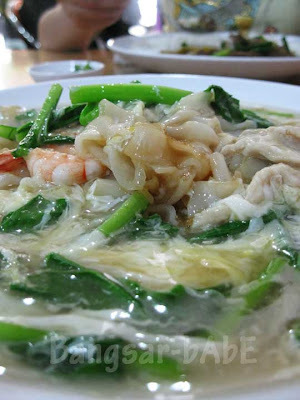 My Wat Tan Hor was dreadfully tasteless! This rated a miserable 4/10 from me. 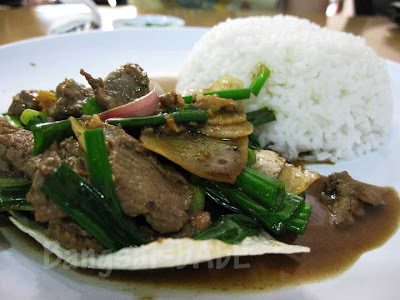 I ate it with 2 serves of chilli padi and soy sauce to mask the under-fried and under-seasoned rice sheets. 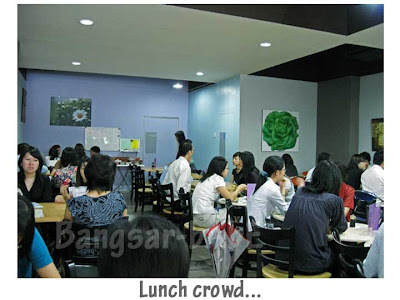 Lunch was a terrible disappointment, and I don’t understand why people eat here everyday! Verdict: Don’t bother with this place. You’re better off eating at a hawker place with DECENT food. bad experience huh?! 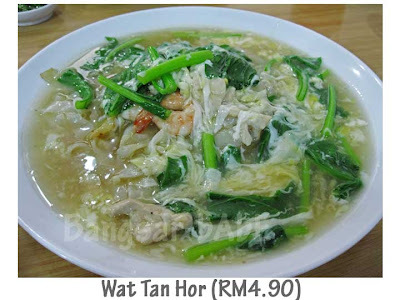 yeah, the Wan Tan hor looks not appetizing!